The one time people do ask me about ethics is when scandals or controversies happen in Buddhist communities. 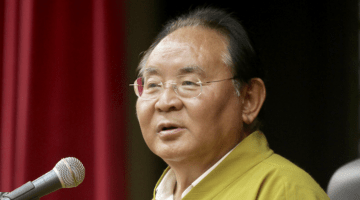 Vajrayana practice is rooted in the ideals of nonviolence and great compassion. There is no Vajrayana without them. The first point I’d like to make is probably an obvious one. Our practice should bring out the best in us as human beings. It should call forth our inner wisdom, our basic sanity, and the moral compass that we all have (whether we pay attention to it or not). The most basic way to measure our practice, therefore, is the degree to which we are moving closer to the simple ideals of kindness, humility, honesty, and wisdom. If—as individuals or as communities—we find ourselves moving in the other direction, something is off track. None of us will act perfectly in every situation, but over time there should be a clear movement toward these basic and universal human values. This is especially true of spiritual teachers. Buddhist teachers are role models and guides for the communities they lead, and they represent the Buddhist tradition to the non-Buddhist world. If, as students of the Buddha’s teachings, we strive to be kind, humble, and devoted to practice, then it only makes sense that our guides should embody these qualities. They should inspire us with their kindness and devotion. They should instill trust by the care and concern they show for others. Of course, we should not expect perfection, but it should go without saying that people who are guiding others should practice what they preach. A genuine teacher should uphold their vows and precepts. If someone is being harmed, the safety of the victim comes first. This is not a Buddhist principle. This is a basic human value and should never be violated. However, it is another matter altogether when a teacher is committing serious ethical violations. Leaving a teacher on good terms makes sense when the issue is just a matter of fit between teacher and student. When the issue is people being hurt or laws being broken, the situation is different. Physical, sexual, and psychological abuse are not teaching tools. We must distinguish teachers who are eccentric or provocative—but ultimately compassionate and skillful—from those who are actually harming students and causing trauma. Now that the world is so interconnected, ethics are more important than ever. 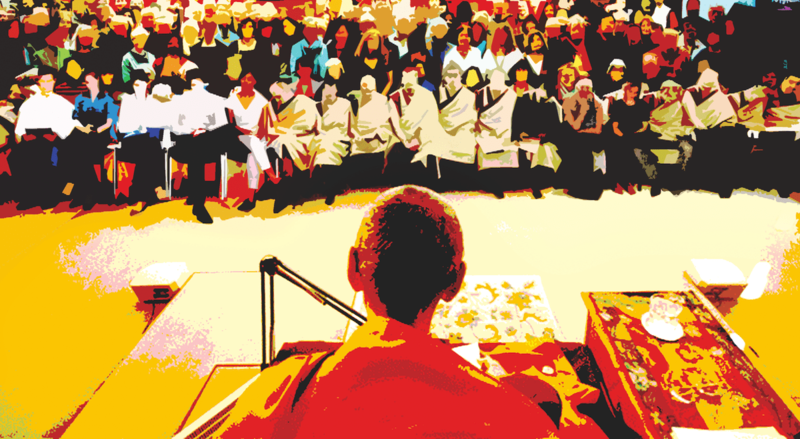 In a sense, we Buddhist practitioners are all representing the Buddha’s teachings to the world. Anyone can learn about this teacher or that sangha with a few mouse clicks and a quick Google search. This is a good thing, because it makes the entire tradition more transparent. Ethical behavior—and ethical violations—are more visible than they were in previous times. It should go without saying that when schools, businesses, and other public institutions are expected to adhere to a code of conduct and the laws of the land, then spiritual organizations should be role models of ethical behavior. And teachers even more so. Throughout history, one of the most important roles of Buddhist teachers and the Buddhist sangha was exactly this. They modeled ethical behavior to the communities that they served. Vajrayana Buddhism is thought of as a precious treasure by Tibetans. It is our spiritual heritage and our gift to the world. Now that the teachings and practices of this tradition are spreading across the globe, it is important that we understand the tradition and how to work with its powerful teachings. As I’ve said, the core of the Vajrayana tradition is that we strive to embody pure perception. We view our thoughts and emotions—even the difficult ones—as manifestations of timeless awareness. We see every person as a buddha, and we treat them as such. We view the world that we live in as a pure realm, enlightened just as it is. This tradition of treating everything and everyone as though we are meeting the Buddha face-to-face is our main practice in the Vajrayana. It is the life blood of our tradition and the very highest ethical standard we could aspire to. In this day and age, with confusion and conflict all around us, the world needs this more than ever.